Wrapped all of Mrs. Z’s presents. 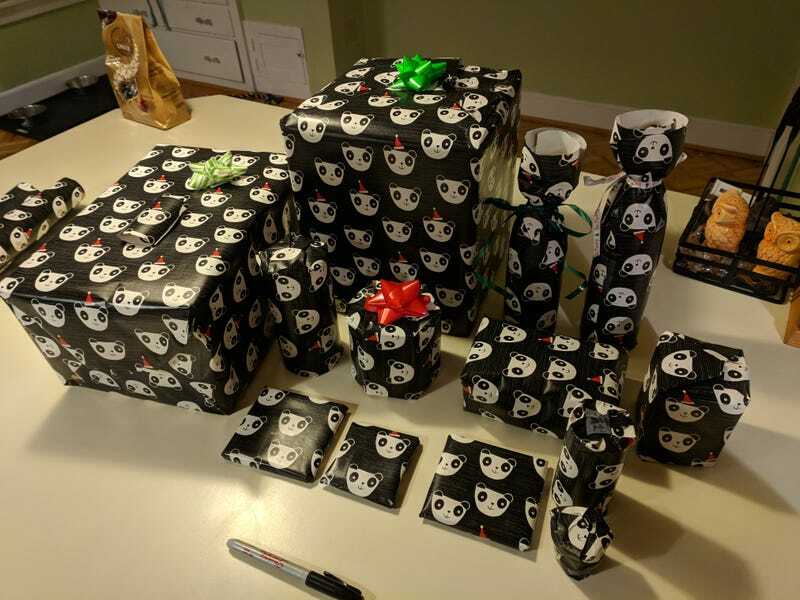 We typically have a “stocking stuffers only” rule, so I wrapped all of her stocking stuffers. Plus, bought a couple of things that violate the rule. Something something happy wife? Now I’m working on the tree. WOOOOOO HOLIDAY CHEER AND WHATNOT.